If you are a basketball fan, then you may want to check out some of this latest news about Walt Disney World! Around Thanksgiving 2018. the AdvoCare Invitational will be held at ESPN Wide World of Sports. The tournament will run from November 22nd through 25th. 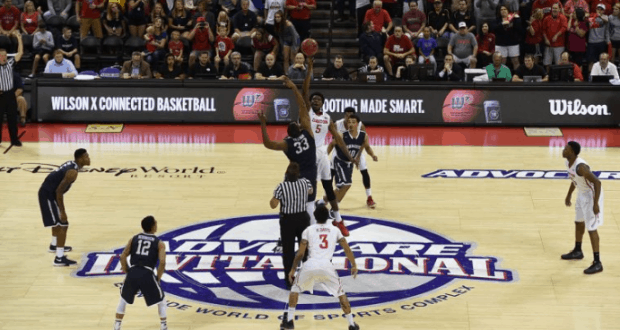 It will include a loaded field lauded by college basketball experts as one of the most competitive preseason tournaments in the nation this year. Three of the 8 teams that will be there are ranked in the pre-season top 25 polls including teams (Florida State, LSU and 2018 NCAA National Champion Villanova). The other 5 teams are Alabama-Birmingham, Canisius College, College of Charleston, Memphis and Oklahoma State. Basketball fans definitely have the chance to check out some of their favorite teams. The tournament will feature 12 games that will take place over the three days. Each team will compete in one game per day. The championship game for the AdvoCare Invitational will be held on November 25th, 2018. If you want to attend the event, tickets can be purchased at ticketmaster.com for the AdvoCare Invitational. You will want to get yours while you can! Who out there would love to attend the AdvoCare Invitational at Walt Disney World? I am a long time Disney addict! This love began as a child and stayed with me in my teen years. I completed the Disney College Program, was engaged and honeymooned at Disney, visited WDW while pregnant with each of our two boys, and have brought our boys since they were babies (they are now 5 and 2). 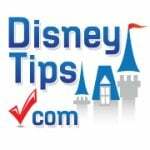 We have over 10 Disney World vacations under our belt. Our recent adventure was a big move from St. Louis, MO to Florida! We knew that we needed more Disney magic that just a couple times of year, and we worked hard to make it happen! Now we hit the parks almost every weekend! We are working to dine at every location, experience every attraction and look for every hidden Mickey! We want to be able to say that we have one it all! We are branching into the Cruise Line and are planning a trip to Disneyland in California next year. To say that we are Disney addicts may be an understatement. When I am not at WDW with my family, I am reading Disney blogs and news, crafting (usually Disney décor for our home), planning Disney vacations for others or working on my dissertation for my doctoral program. I am a Project Manager by profession, so I have mastered fitting everything into a tight schedule! We feel we lead an exciting life where we get to spend a lot of time together doing what we love! I love being able to this love and Disney magic with everyone else so that others can make the most of whatever time they get to have at the most magical place on earth!